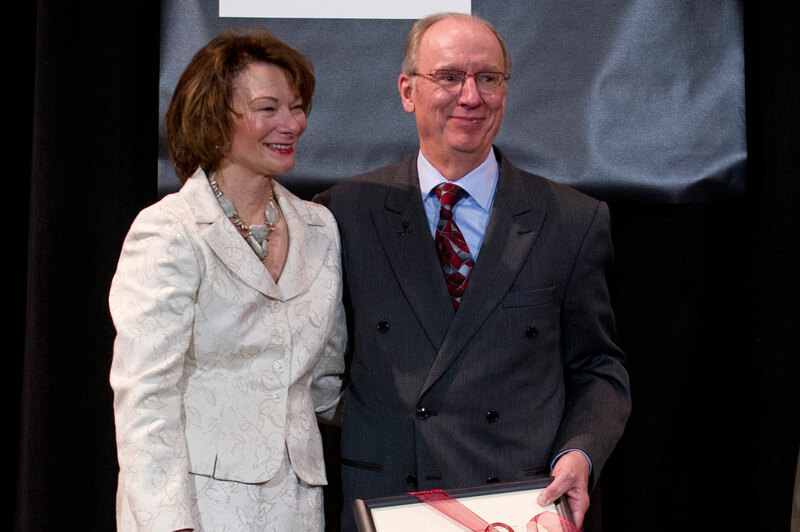 A number of public and private events recognized Chancellor Bantz for his contributions to the campus and the city. Chancellor Bantz and Dr. Sandra Petronio were honored at the annual Spirit of Philanthropy luncheon for their leadership as well as their philanthropic contributions to the campus. 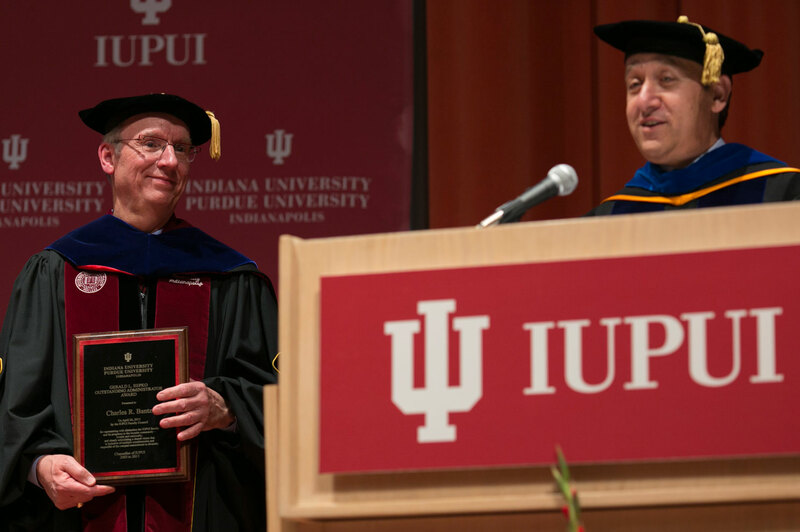 During the Chancellor’s Honors Convocation, Chancellor Bantz was presented with the Gerald L. Bepko Outstanding Administrator Award. 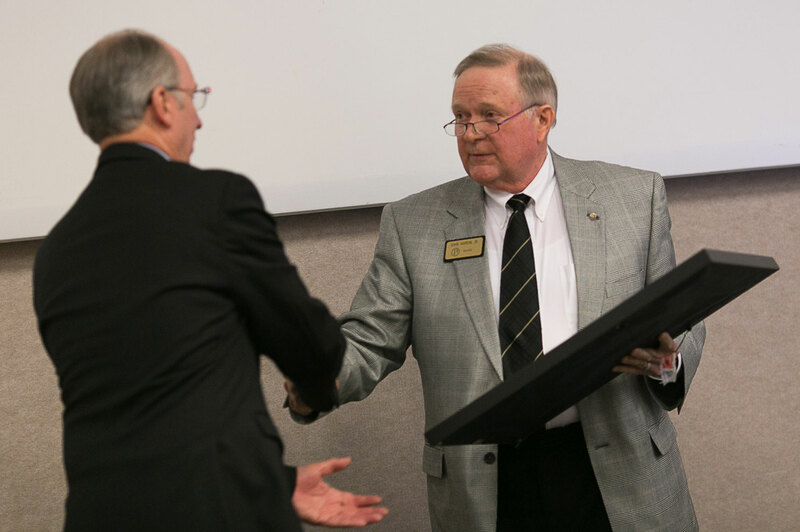 The Purdue University Board of Trustees recognized Chancellor Bantz for his leadership of the IUPUI campus during their meeting on April 10, 2015. 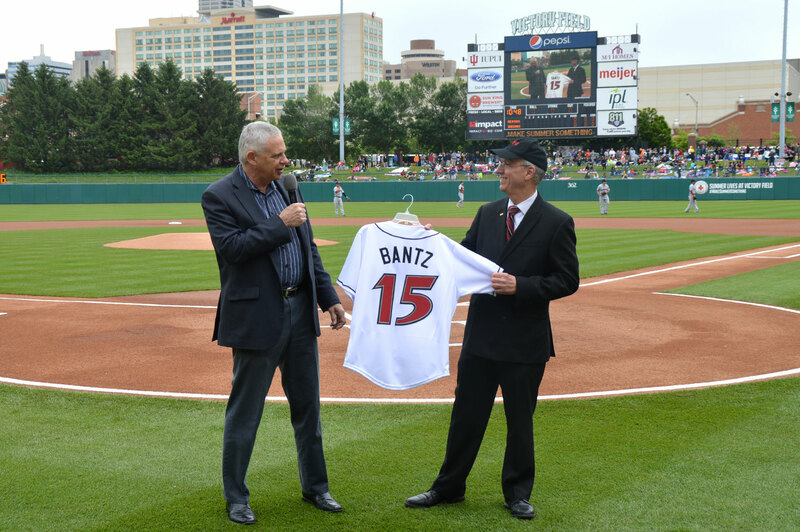 Cal Burleson, Vice President of Baseball & Administrative Affairs for the Indianapolis Indians, presented Chancellor Bantz with his own Indians jersey at the start of a Baseball in Education game. Chancellor Bantz receives a plaque from Mark Becker, president of Georgia State University. 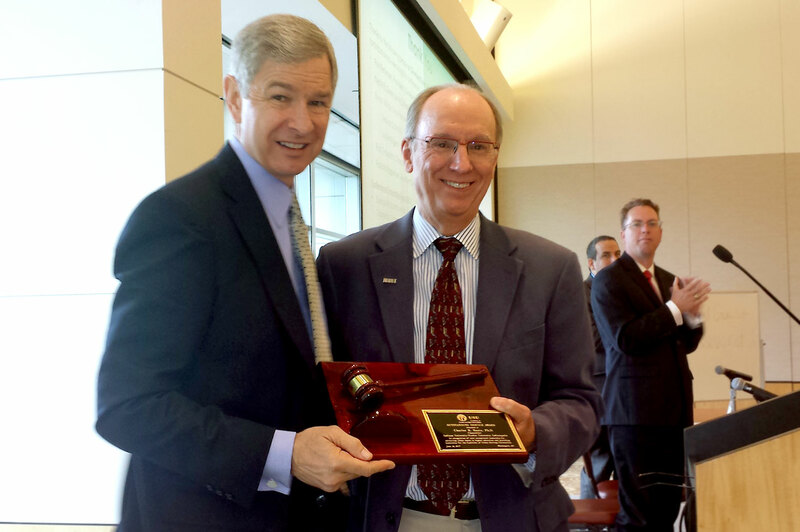 Bantz is the outgoing chair of USU (Urban Serving Universities Coalition of APLU), Becker is the incoming chair.